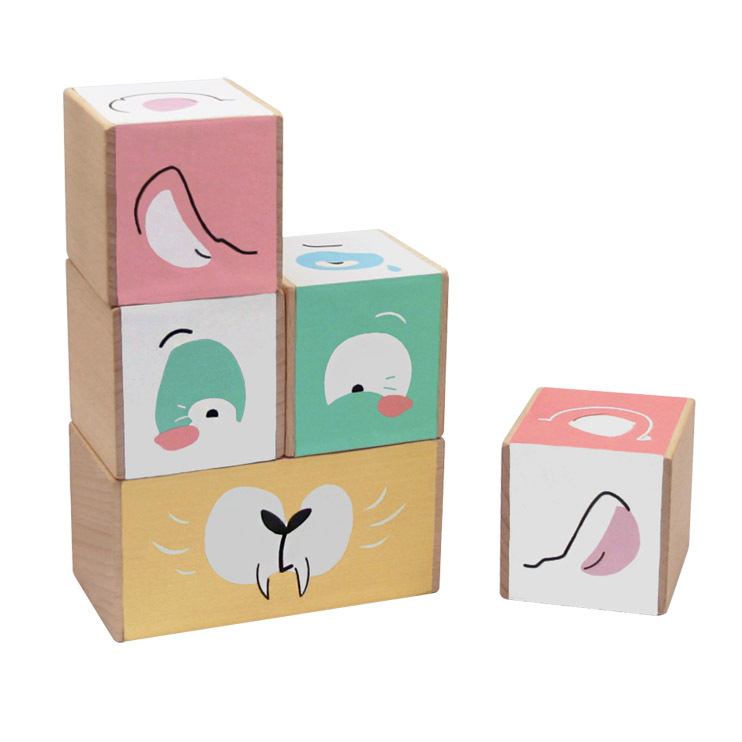 Wooden blocks to play with animal’s moods. This “original” design shows 4 animals and their expressions : elephant, rabbit, bear and tiger. 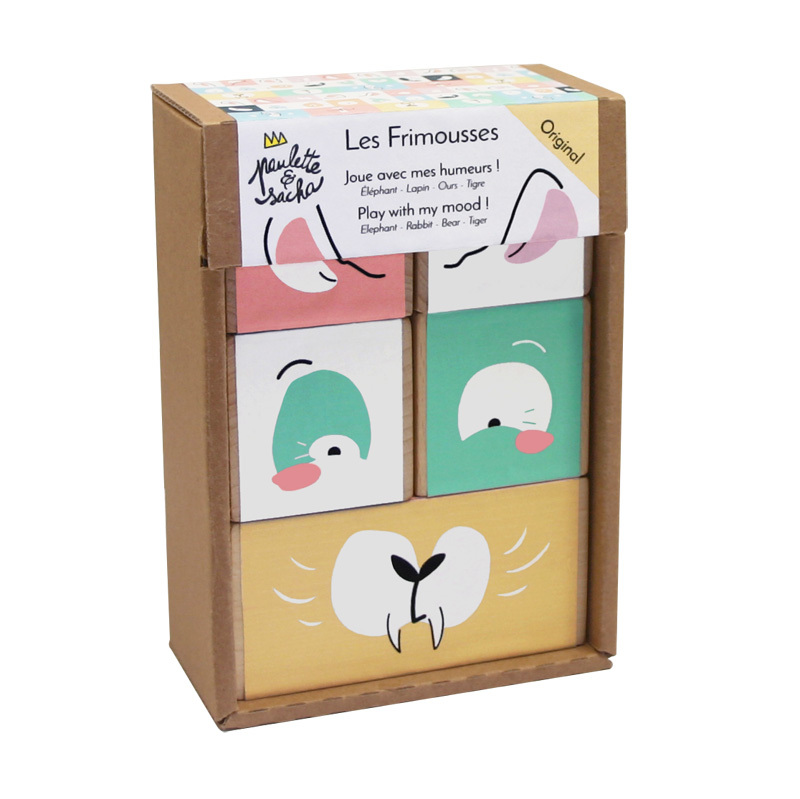 flip the stacking blocks and discover your favorite animal’s mood.